The plan for Google’s Sidewalk Labs in Toronto has continued to attract criticism. The company has yet to release a clear picture or detailed explanation of what the “smart neighbourhood” on Toronto’s waterfront will include. So far, it looks as though there will be various forms of sensor technology to collect and analyze data, as well as versatile and shifting buildings and novel transportation systems — all of which seems difficult to imagine. Our team of researchers from McMaster University and the Samuelson-Glushko Canadian Internet Policy and Public Interest Clinic have created an interactive map that allows viewers to navigate through various smart-city technologies in Canada. The map makes visible the scope of smart-city strategies that have been implemented across Canada. The map filters results based on location and type of smart-city technology, and allows users to read through the details of each technology including any potential privacy concerns. Residents can also upload their own experiences and encounters with smart-city technologies. Mapping out smart city technologies has demonstrated that many types are invisible to the public eye. For example: traffic noise monitors (Edmonton); sensors that count people and analyze their movements in built environments (Toronto); trash bins that alert city waste management of their status (Winnipeg); and smart benches which potentially track data from users (Newmarket). Many such technologies are not broadly disclosed or understood, putting the public at risk of privacy violations and unwanted surveillance. It is not even clear to researchers what data is being collected by these devices, making the task of understanding their possible negative impacts nearly impossible. This impossibility is a key setback in the attempt to foster a democratic deliberative process around the creation of smart-city spaces across the country. In order to further the conversation in a meaningful and inclusive way, it becomes imperative to pursue strategies of education and exploration around smart-city practices. 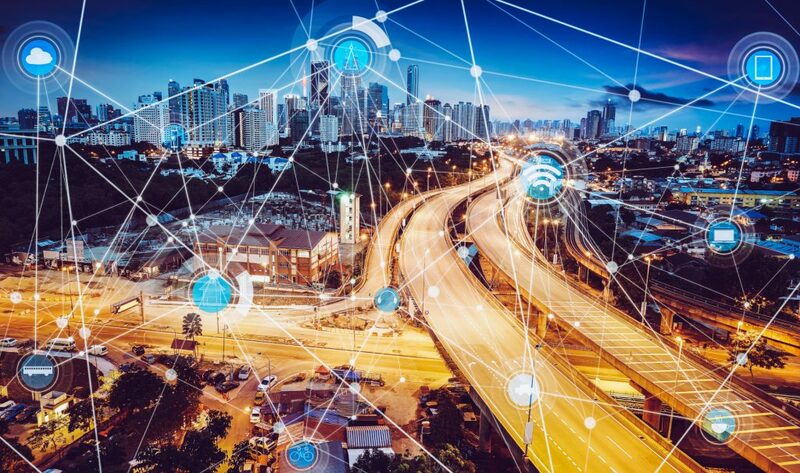 In light of these developments, it is important for researchers to point to the ways in which one can see what smart-city technologies are and where they exist within city space. Having this knowledge affords people a tangible awareness regarding the places within which these technologies live — spaces that might otherwise feel invisible or elusive. The map we created was compiled with a view to expand on this sentiment and contribute to the public education on smart cities in Canada. Outside of academia, there is an emerging advocacy network which does thorough and important work regarding smart cities and their potential negative effects. The Digital Justice Lab and Tech Reset Canada are both working on multiple campaigns to both broaden public awareness of smart cities and highlight the concerns that are born of these emergent urban technologies. Both groups have been critical of Sidewalk Labs and continue to provide a much-needed voice in the debate. Most recently, these criticisms have coalesced around #BlockSidewalk, a campaign that looks to prevent Sidewalk Labs from developing Toronto’s waterfont while encouraging a citizen-centred and democratic process around alternative development goals. A screenshot of the Smart City map showing smart city technologies in Edmonton, AB. Advocacy and activism in the smart city is an important endeavour and comes at a critical time that sees smart city development outpace any deep awareness of their defining logic or process of implementation. It is therefore necessary that those who have access and proximity to the smart city landscape — researchers, policymakers, journalists, advocates — continue to attach a public awareness component to their broader work. Our map attempts to expose some of the smart-city technologies that have been placed in cities and hopefully this work can be expanded upon in the future. There cannot be any meaningful public discussion or process of consent when smart city technologies are rolled out to a public that remains largely unaware of their existence. Angela K Orasch is a Phd candidate in the department of Political Science. This article is republished from The Conversation under a Creative Commons license. Read the original article.